Ranger Plaid is a large plaid ready for the dye pot. 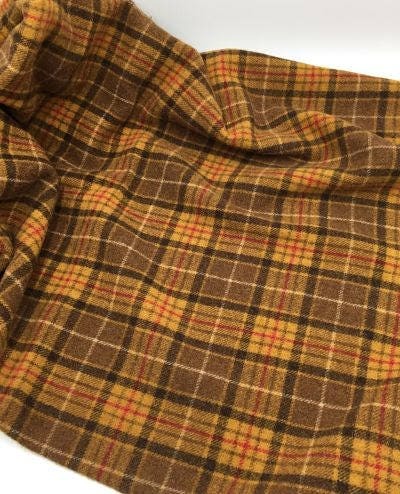 As is, use Ranger Plaid in applique for fall creations. Try to hook or proddy Ranger Plaid as a sunflower.